Julie Trivitt is currently an Assistant Professor of Economics at Arkansas Tech University in Russellville, Arkansas. 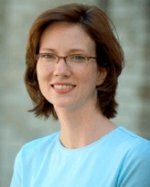 She received her Ph.D. in Economics from the University of Arkansas in 2006 and worked as a Senior Research Associate for the Department of Education Reform at the University of Arkansas. Her research agenda covers various issues in Education and Health Economics. During the summer of 2007 she attended a week long program with the ISEO Institute in Italy to study with two Nobel Laureates and worked with the World Trade Center of Brescia, Italy on an international education consulting project.